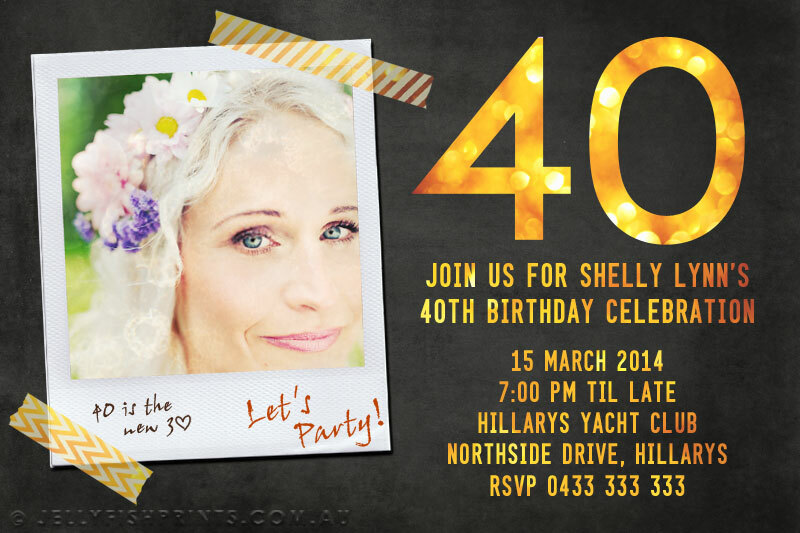 A blackboard or chalkboard styled design for a fun and trendy 40th birthday photo invitation. 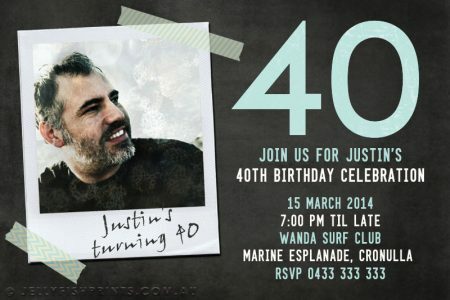 A photograph of the guest of honour is the main focus of this invite and is set in a vintage polaroid photo frame. Washi tape is used to embellish the design further giving it the appearance that the photo has been taped to the invite. 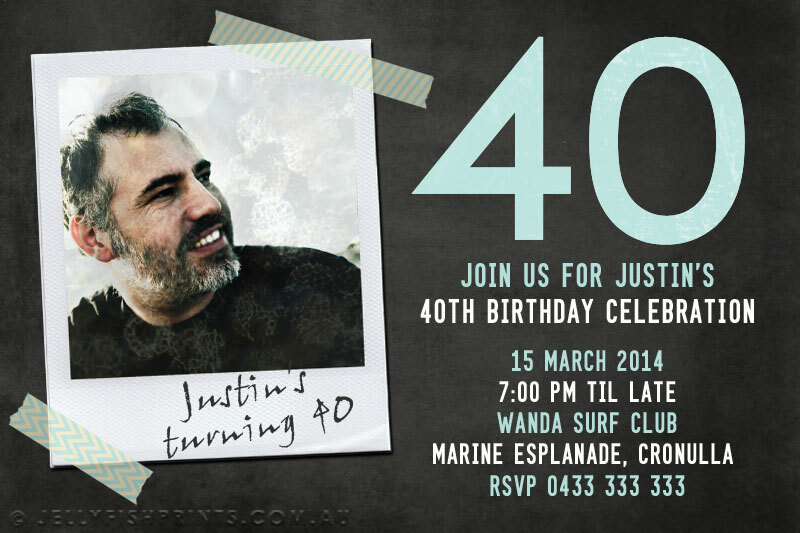 This fantastic 40th birthday photo invitation will kick start your 40th celebration. There a several elements that tie together to create this design. The polaroid frame will feature a photo of your choice. We will crop your picture to fit and add a bokeh photo texture to it to create more visual interest. There is a portion of space below the photo where we can add some text of your choosing in a hand writing font. We have used this space to highlight ‘surprise parties’ and to add extra party information. The washi tape has used to tape the photo to the chalkboard. We can change the colours if requested. Any other info can be amended too. 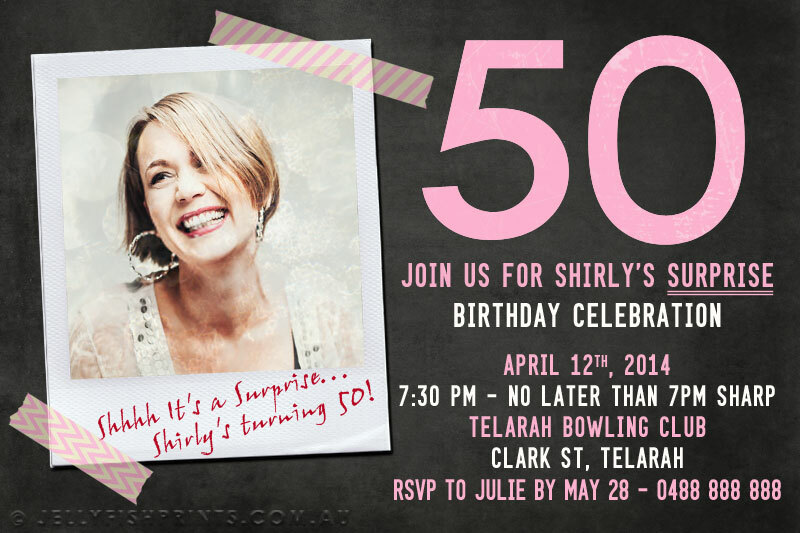 Use this design for a 50th or 30th party invite. Please let us know if you wish to change any of the colours in the ‘Extra Information’ box. Your printable pirate party invitation will be personalised with your party details and photograph if applicable.